Devil's Delight is a relatively simple slot. That is, even the seemingly weirdest elements will prove to be self-explanatory. At first glance, this slot seems pretty standard as it has conventional reels, rows, and pay lines. You will encounter standard symbols but, luckily, these standard symbols have been altered to blend in with the rest of this devilish slot. You will encounter the female devil, the male devil -which functions as the wild-, a hand holding dice, the Grim Reaper -the bonus symbol-, and a pentagram functioning as the scatter, which leads to free spins. Devil’s Delight is a special slot by Net Entertainment. Even though the slot looks rather normal, it is a game in which the bonus game and free spins are more frequent than regular spins. 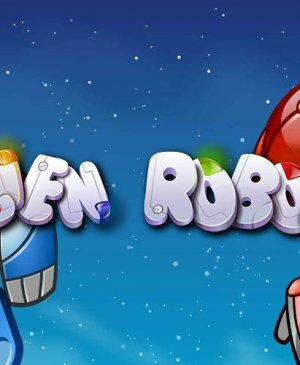 It has five reels, three rows, 20 pay lines, and the theme has been executed very well, making it a splendid slot the Swedish software developer clearly has put a lot of energy into. How to play Devil’s Delight? Devil’s Delight is a relatively simple slot. That is, even the seemingly weirdest elements will prove to be self-explanatory. At first glance, this slot seems pretty standard as it has conventional reels, rows, and pay lines. You will encounter standard symbols but, luckily, these standard symbols have been altered to blend in with the rest of this devilish slot. You will encounter the female devil, the male devil -which functions as the wild-, a hand holding dice, the Grim Reaper -the bonus symbol-, and a pentagram functioning as the scatter, which leads to free spins. 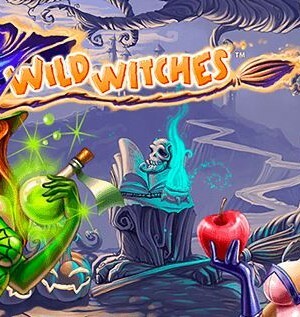 Before we deal with free spins, let’s first look at the bonus game on Devil’s Delight. In order to reach the bonus game, you’re going to need at least three Grim Reapers. The game starts off with five characters and five sins. Your task is to match the right sin with the right character. If you succeed in doing so, you win. With every correctly matched sin, you receive one more soul -when you have 15 souls in total, you enter free spins. If you manage to correctly match all the sins to the characters, you can win rather handomely, especially when the bonus comes around a few times. Do note: the characters and sins will be different each time you play the bonus game. During free spins, things get even more exicting! If the pentagrams land on your reels, it’s up to you to select the right one. Each pentagram has a certain number of free spins with a certain multiplier attached to them. During free spins, two or more pentagrams mean that you get to choose again and you can win either additional free spins or multipliers. So, it might happen that it takes quite a while before regular spins resume. When this happens with a 5x multiplier, you will be racking in some big wins! The maximum potential win on this slot is only attainable during free spins and stands at a firm €200,000. You do need quite a bit of luck to win this but this win could be considered somewhat of a jackpot. Devil’s Delight has a total of 20 pay lines. With its five reels and three rows, 20 pay lines is a logical, often-opted-for choice. Also, 20 pay lines is more than enough for you to fully enjoy all posibilities on this slot. In general, most of your attention will go to additional spins during free spins, the bonus game, the expanding wild, and the soul-o-meter at the bottom of the slot. If, at some point, you don’t feel like constantly pressing that spin button, make sure to check out the autoplay function. 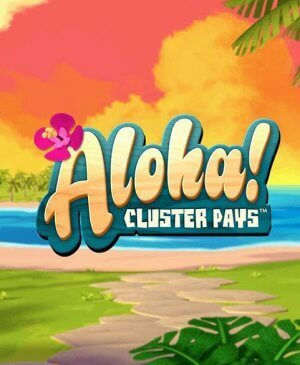 The autoplay functions is capable of turning itself off once you reach the bonus game or free spins. 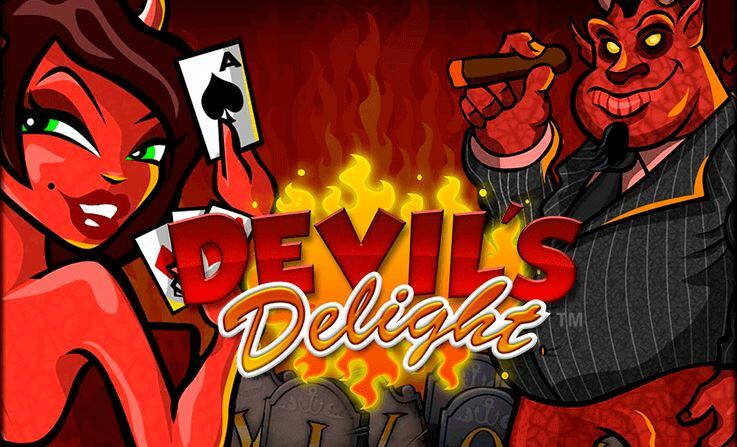 All in all, Devil’s Delight is a great slot with some very entertaining features.